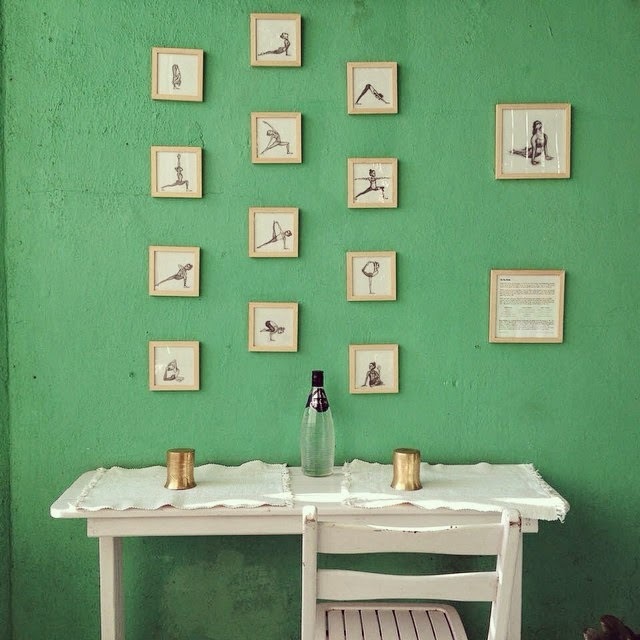 I had been to The Yoga House, Bandra before of course. Any and every Yoga enthusiast in Mumbai must have. Its like asking is Chaturanga Dandasana the toughest plank ever? Yes. If you don’t know that yet, yes it is. 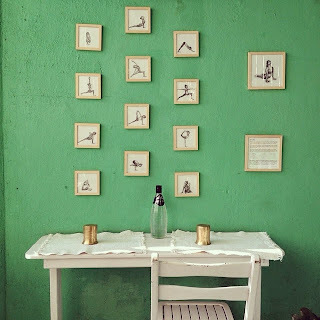 It is this quaint little villa in the middle of Bandra dedicated towards spreading the word on Yoga, wellness and everything else can can enable you to live a healthier, holistic, more fulfilling life. only cafe I have EVER been to that does not require music to keep its patrons occupied while they wait for the food to arrive. The place is buzzing with energy and happiness and creative vibes from the moment you step in. So earlier I have been here, of course with friends and family, to enjoy a little bite from the cafe. And of course inquired about the yoga classes and teachers. But I was working back then, and not staying in Bandra, so somehow my routine didn’t allow me to indulge in a class. I always wanted practice in that white curtained room with all the peace and calm seeping in through my senses. Life, apparently, is stranger than fiction. As luck would have it, I recently began teaching there. On my first day, I was an hour early because I didn’t want to be late. Normally, I have previously interacted with my students and hence, share a bit of a rapport and comfort level. Here, however, I was about to face a group completely new students! People who may have been connected to me in my previous lives somehow but were new to me in this lifetime. Anyways, I was a bit nervous. I stepped into the reception and planted myself there. I could have easily gone to the cafe and distracted myself there with random conversations. But I chose to spend that time with myself, and I guess, that did it!!! 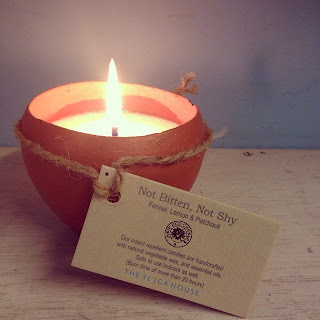 The reception is full of these beautiful aromas emanating from various essential oils and candles and organic soaps which were just divine to take in. I felt my body relaxing as I sat there. My fears melting away. After a good long chat with myself, I was ready for the class like never before. 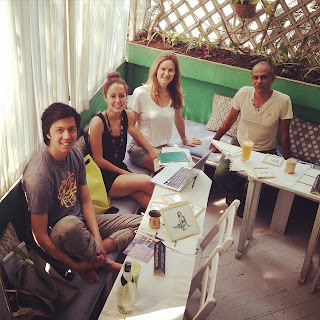 The Yoga House is not just a cafe or a yoga studio. It is a community. The teachers are such wonderful and enthusiastic creatures to know, that I feel as if I have known them all my life. That they were always with me in essence and have now manifested a physical form to interact with me in this physical world. If you haven’t been there yet. Go as soon as you can, and you will see yourself returning with more love, energy and peace than you went in with. Their food will make you realize how much your system loves being nurtured. Their juices and salads and breads are to die for!! Most of the produce is organic sourced from Madhya Pradesh and other surrounding areas, hence helping the farming communities there. Not forgetting the lovely traditional metal plates they serve food and gorgeous terracotta glasses they serve water in. I do hope if you’re in Mumbai you will be keen to visit and experience how simple and beautiful life is meant to be. Do visit their website – www.yogahouse.in for class schedules and events and I do hope you will love them as much as I did. Check out these videos made by a patron to get a glimpse of what it feels like waking in.